The IUFRO/FORNESSA Regional Congress kicked off at the diverse and scenic World Agroforestry Centre (ICRAF) in Nairobi, Kenya yesterday. 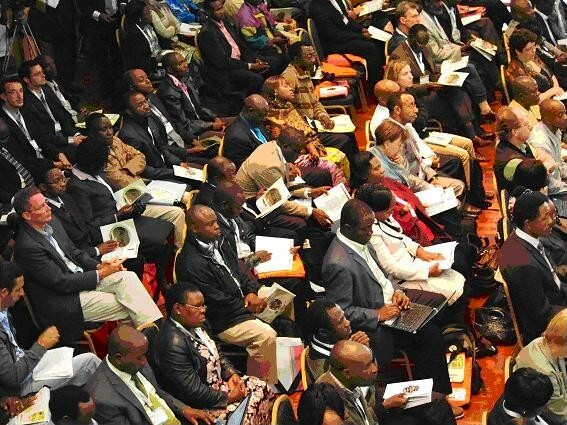 This event which runs from the 25th -29th June marks the first Regional Congress in Africa, providing the opportunity for experts focused on Sub-Saharan African forest issues to come together to share and discuss the hot topics surrounding the region’s forests and trees. The Congress opened with traditional Kenyan singers who performed for the over 300 participants coming from 40 plus African counties and over 50 countries worldwide – the largest gathering of forest experts Africa has ever seen. Integrated into the Congress is the ITTO/AFF Policy Day taking place on Thursday, June 28th, which focuses on the policy and science interface for sustainable forest management in Africa. Scientific cooperation plays an important role in the future of African forest science and research and this premiere event serves to act as a catalyst of growth for the FORNESSA network by bridging the geographical barriers and bringing together scientists, researchers, forest managers and policy makers face-to-face- to discuss with their peers issues of paramount importance. For official coverage of the Congress & photos from the day visit the IISD reporting services homepage at http://www.iisd.ca/ymb/forest/iufrofornessa/c1/. In "1st IUFRO-FORNESSA Regional Congress Africa"